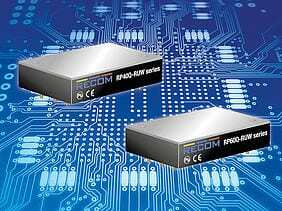 RECOM has expanded its railway portfolio with two 40 W and 60 W DC/DC converter series in quarter-brick packages with an ultra-wide input voltage range from 14 VDC to 160 VDC..The 12:1 input voltage range of RECOM’s RP40Q-RUW and RP60Q-RUW series covers all input voltages from nominal 24 VDC up to 110 VDC in a single product (including EN50155 transients). These quarter-brick DC/DC converters are designed for railway rolling stock and high voltage battery applications and offer basic isolation with regulated 5 V, 12 V, 15 V, 24 V or 48 VDC outputs, including sense and trim pins. 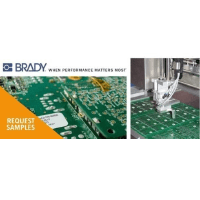 They have a consistently high efficiency over the entire input voltage range and an operating temperature range from -40°C up to +85°C (+68°C for the RP60Q-RUW) at full load without forced air cooling. 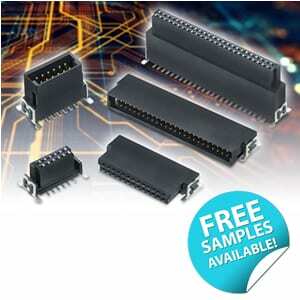 An optional heat sink allows these converters to provide full load up to +90°C and +77°C respectively. The case is fitted with threaded inserts for secure mounting in high shock and vibration environments. 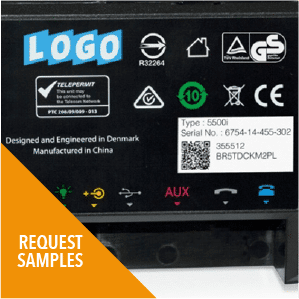 The converters are CE marked, EN50155 and EN45545-2 certified and come with a three-year warranty. 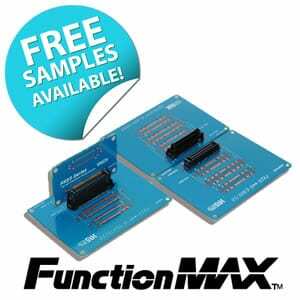 Samples and OEM pricing are available from all authorized distributors or directly from RECOM.